3 April 2019 – Las Vegas and London – Xytech [NAB 2019 booth SL4705], leaders in facility management software for the broadcast, media services and video transmission industries, and Blackbird [NAB 2019, booth SL6716], the market-leading cloud video platform, have partnered to offer a frame accurate codec player in the version 9 of Xytech’s MediaPulse facility management software system. 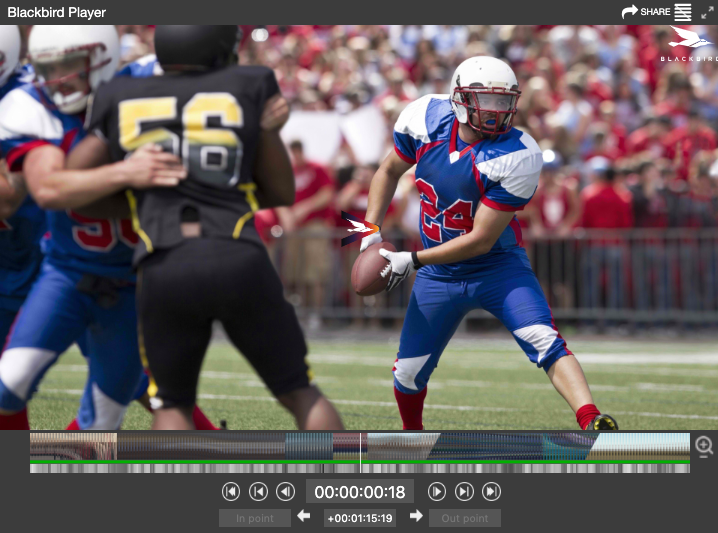 This partnership will help streamline the asset management process for users of MediaPulse version 9, announced at NAB 2019, and provide users with a real-time, accurate browser-based viewer featuring complete access security for all files. Blackbird will be exhibiting at the 2019 NAB Show from 8 – 11 April on Microsoft’s stand, SL6716. To arrange a meeting please email commercial@blackbird.video.